Beautiful, award-winning sandy beaches meet sparkling blue waters. A gorgeous promenade to stroll down, a sprawling fun-filled pier and a host of attractions to delight in. 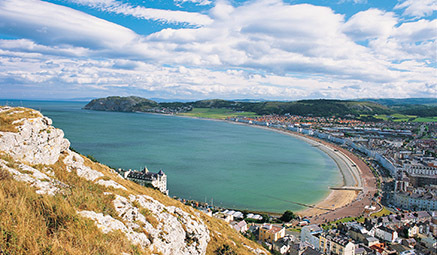 Discover Britain’s only cable hauled tramway and the UK’s longest passenger cable car. All this in the shadow of spectacular Snowdonia. Cymru am byth! 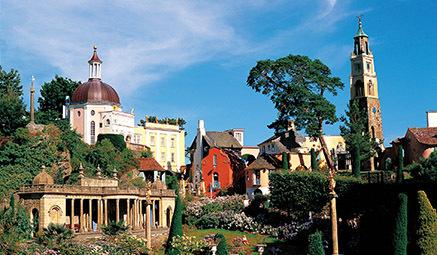 Portmeirion - Full Day - discover the surreal architecture of the village used in the cult 60’s TV show ‘The Prisoner’. Designed by Sir Clough Williams-Ellis, with clapboard houses, stunning coastal views and gorgeous old churches, peppered with beautiful gardens. So to get the most out of your day, a guided walking tour and woodlands land train journey is available to take you through this Mediterranean inspired haven. Caernarfon, Porthmadog & Betws-y-Coed - Full Day - explore some of the most historic and picturesque towns in Wales. Our first stop is the Celtic town of Caernarfon with the beautiful River Seiont flowing through it and the mighty ancient castle dominating the view. After time to explore we’ll travel on to Porthmadog, the “Gateway to Snowdonia National Park." 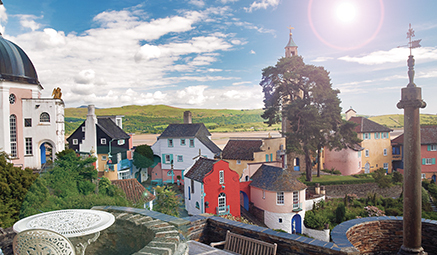 Nestled in some of the most stunning scenery you’ll ever see, the town has plenty of vibrant independent shops to explore, plus fascinating maritime history and much more. Returning to the hotel via Betws-y-Coed with time to look around.